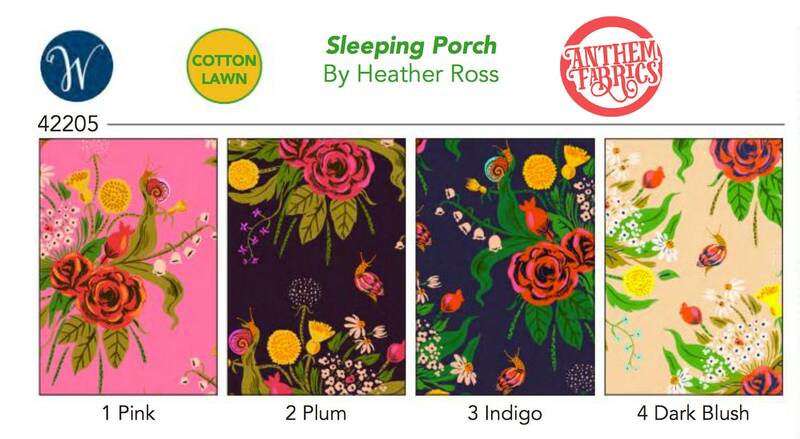 Sleeping Porch fabric line is printed entirely on cotton lawn. Create projects that have a unique aesthetic . Heather's signature style of whimsical illustrations appeal to all quilters. Her collections are often designed with kids in mind and grown-ups who still have a lot of kid left in them. 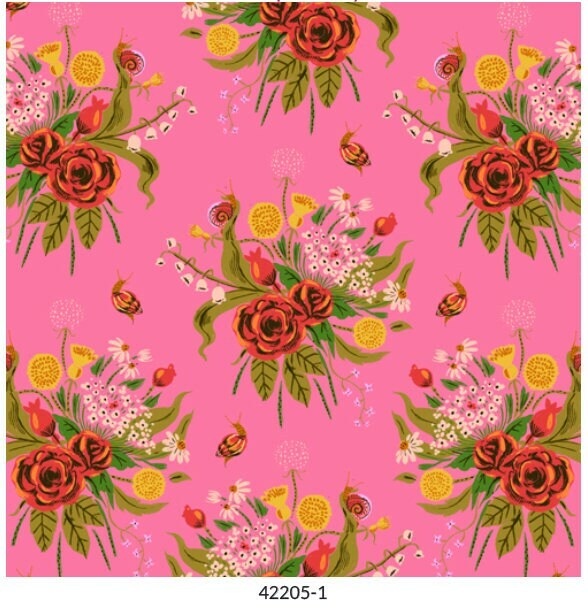 Quilting & Fashion light weight fabric. 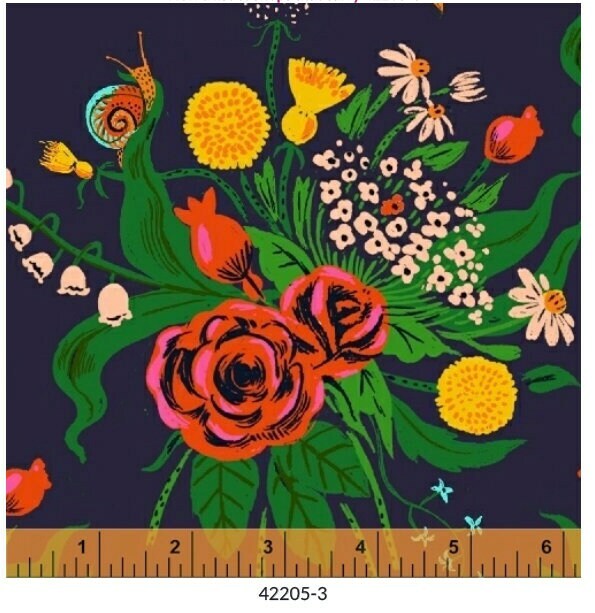 Fat Quarter size @ 18x21 inches ( metric: 46x55 cm). 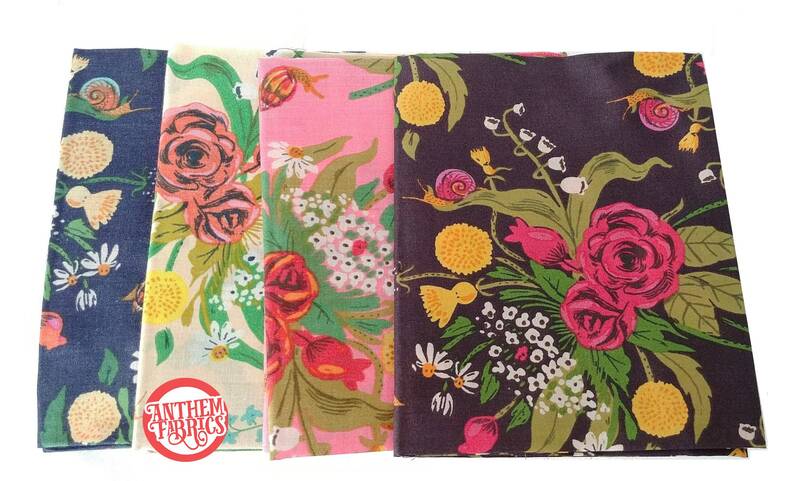 This mini "Wild Flowers" bundle includes 4 fat quarters, one each of the colors shown above.